"I just wear what I think looks good and what is comfortable. 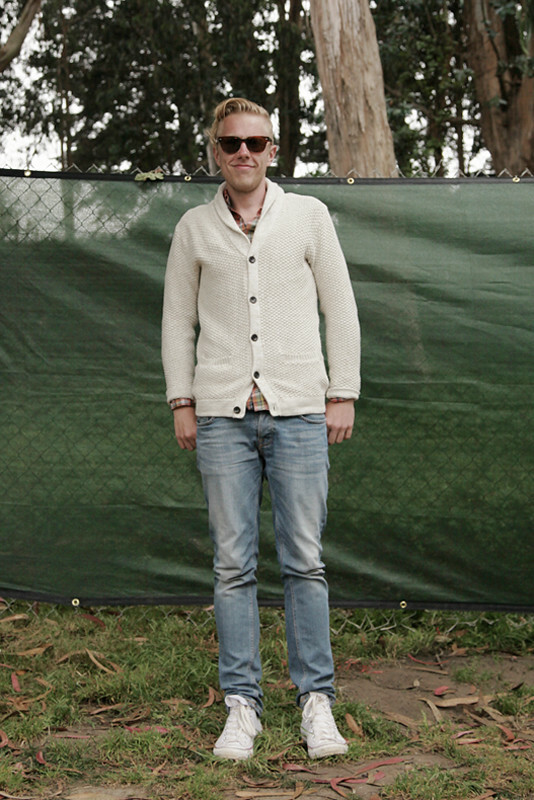 It's probably the Nordic style right now." Kim is on a road trip through America, heard about Outside Lands and bought a ticket to come with Kaisa. 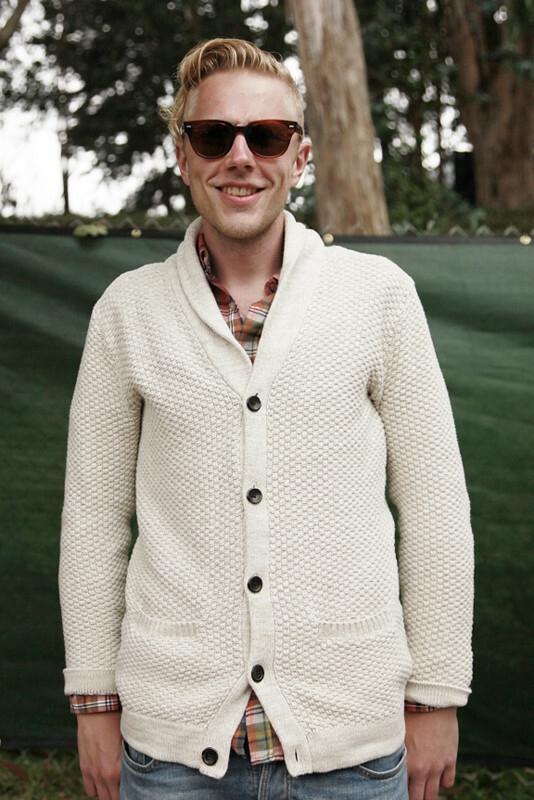 I like his cardigan and casual old man style. 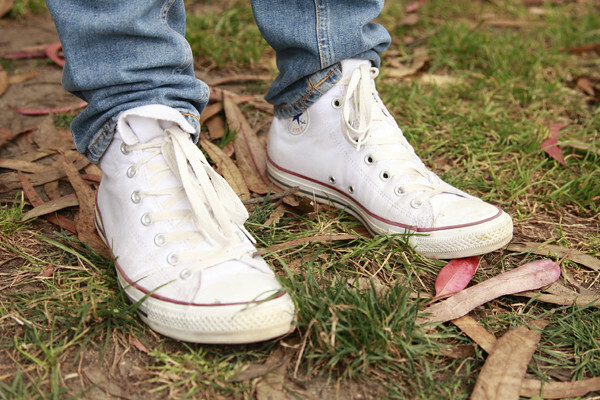 Clean Chucks in a dusty place.